NIS America has provided us with their upcoming strategy RPG title Disgaea 3 for the PS Vita. Now this title was previously released on the PlayStation 3, but since the previous titles had been released on the PSP, it was only fitting that they release the 3rd on the Vita, with all of the DLC that is available on the console version. 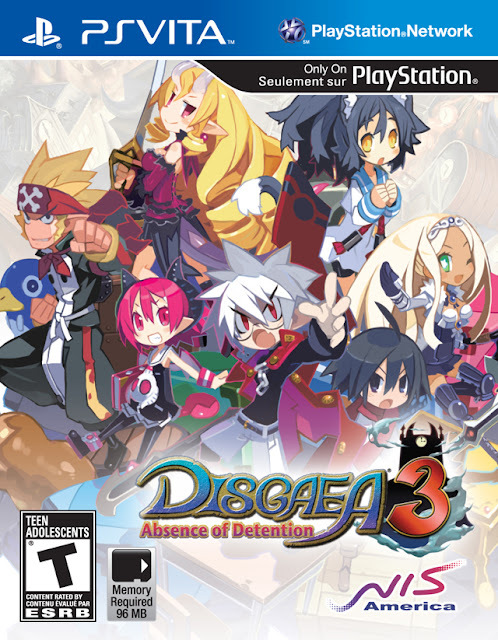 Dubbed Absence of Detention, the handheld version will add new characters, stories, and systems to the already existing DLC accessible to the console entry. 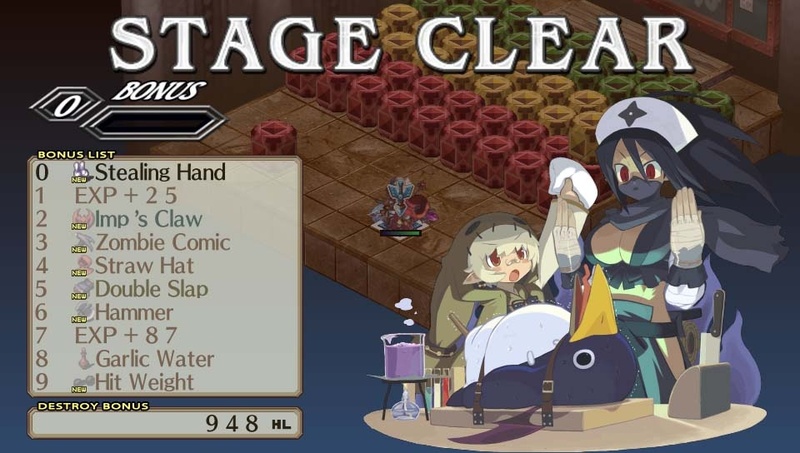 On top of the existing DLC, the handheld version is equipped with a record shop, not the musical record, but more of an online leaderboard to show who on your friends list is best Disgaea evil overlord by displaying game stats and rankings. It is time to see how this compact version of the console hit holds up on the go with Mao, the evil honor student son of the king of the underworld. I started the Disgaea series with the first title on the PSP, then again on the DS, loving the ability to play a strategy RPG title on the go. This genre has been fun to play on consoles, but always seemed a better fit for the gamer on the go. 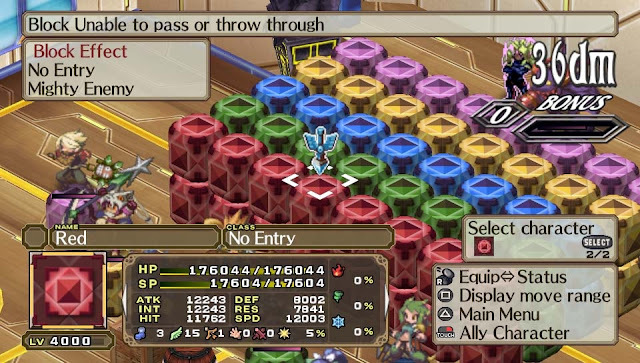 Since my first time spent with Disgaea franchise, I have had the opportunity to play and review the third and fourth games on the PS3, and it is eye opening to see how far the franchise has come with the introduction of new gaming technology and it was only a matter of time that the new handheld would get its chance for another Disgaea title on the go. Though I don't typically go back and play games again, particularly due to lack of time and knowing what happens, but this entry has all the DLC in which myself and many people may have missed if they stopped playing after my first playthrough. The graphics are beautiful on the Vita's vibrant screen and now there is more reason to take the Vita with you everywhere, because one of the new features tracks how far you travel with the Vita and then provides bonuses for the distance traveled, and you can now see how you compare against your friends in terms of performance in the record store. The title plays the same as the console version, but you will see slight differences in terms of characters, cut scenes, and hilarious over the top dialogue, making it feel fresh but familiar at the same time. The bad, well that would be the touch screen capabilities to control the camera. I don't know if it is big fat fingers or the way I hold the Vita, but the camera view was changed every time my fingers came in contact with the back of the Vita, so I immediately turned that setting off. The other issue if you could even call it that is how massive the title is in regards to learning all there is to know about playing the game, whether it be time spent in the classroom, character customization, and proper development. 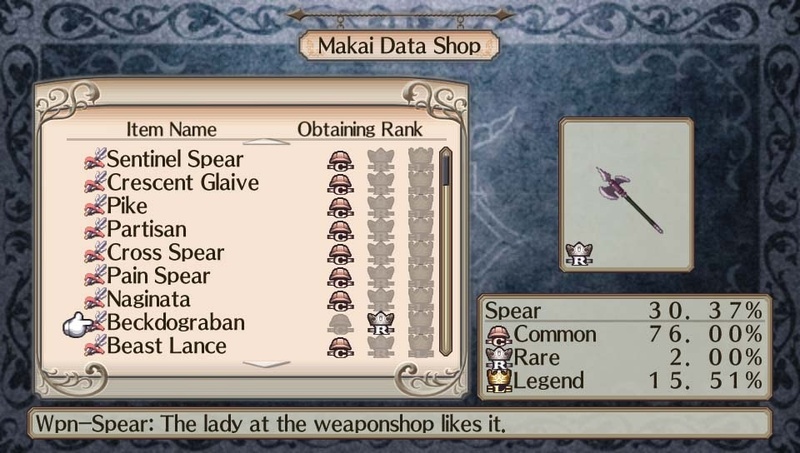 These are things in which I have a love/hate relationships with in this particular franchise as you mainly learn through trial and large amounts of error. Lastly, would be the amount of grinding, after just a couple hours, you will find yourself going back and playing previous levels for more in game currency for equipment as you really have to work for your rewards. 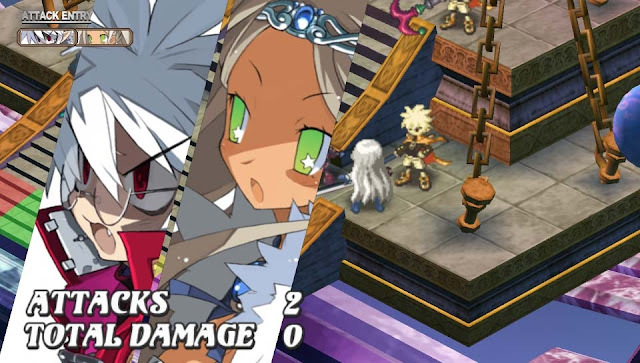 All in all, I loved the portable and more complete version of Disgaea 3, though on a smaller screen, I felt it was much easier to get into as having the portable on the go, it is easier to pick and play where you left off in between breaks at work or sitting around watching TV, without making your family members have to watch and try to figure out why a grown man is getting so into a childish looking game with adult and industry humor. Though I have not played through this portable version to completion yet, I do see myself putting more hours into this now that it has the additional content I missed on my console playthrough. The price is less than the console version when it first came out but it is still a port of a game that is over a year old, with previously released DLC included and takes up a whopping 2.1 gigs of space on my memory card when downloaded from the PS Store.